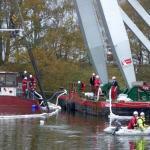 The 86 meter long meter long self-propelled barge Sympathie struck the span of the Borg Bridge on the Ems Canal in Groningen, Netherlands. 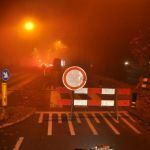 The Sympathie was proceeding in dense fog when it struck the bridge. 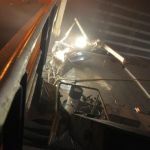 The bridge sustained significant damage and was pushed out of alignment. The Sympathie also sustained severe damage to its bow. Local authorities launched an investigation into the incident. Reports state the master had not request the span of the bridge to be raised. With no visibility, the master assumed the bridge span was open. 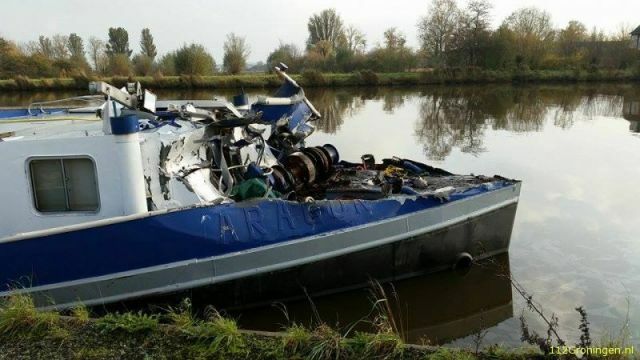 On October 28, the 67 meter long self-propelled barge Rothensee sank after colliding with another vessel on the Mittelland Canal near Oebisfelde, Germany. The Rothensee quickly sank in 4.5 feet of water with its cargo of 800 tons or iron bars. No reports of injuries. 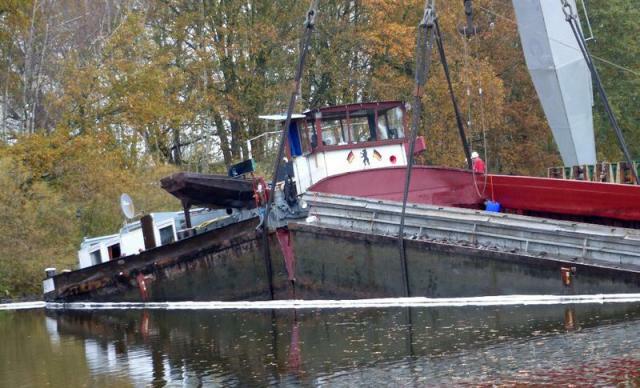 Salvage teams quickly responded as the sunken Rothensee was blocking traffic on the canal. 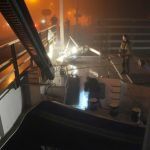 The salvage team was able to recover the 800 tons of iron off the vessel and began lifting efforts with a floating crane. 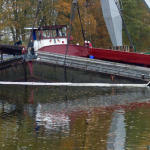 As the stern was pulled above the water, the hull cracked just behind the stern wheelhouse. The 1.5 meter long crack halted operations. 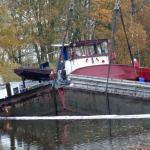 Steel plates were welded to stabilize the Rothensee to allow salvage operations to continued. 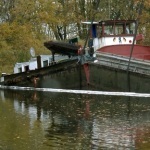 After refloated, the Rothensee will be taken to a nearby berth where it can be scrapped. 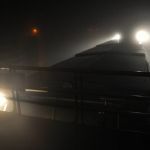 On October 24, the 200 meter long bulk carrier Saga Falcon ran aground on the Rio de la Plata near Martin Garcia Island, Argentina. The Saga Falcon’s bow sustained damage suffering water ingress. The vessel’s pumps were able to control the flooding. 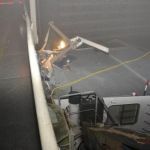 A repair crew was requested and begun work on damaged compartments in the vessel. After the wrok is completed, the pumps would dewater the hull and mutliple tugs would refloat the vessel on the rising tide. 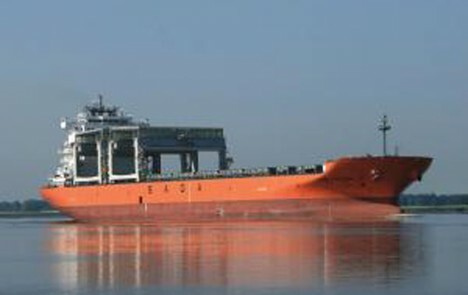 Reports state the Saga Falcon would require lightering and will transfer some of its cargo of cement to another vessel. No reports of injuries or pollution released. Traffic around the Saga Falcon was restricted to vessels with draft under 7 meters.